And then the whole class giggles. Preparing them for what they’ll experience is important. 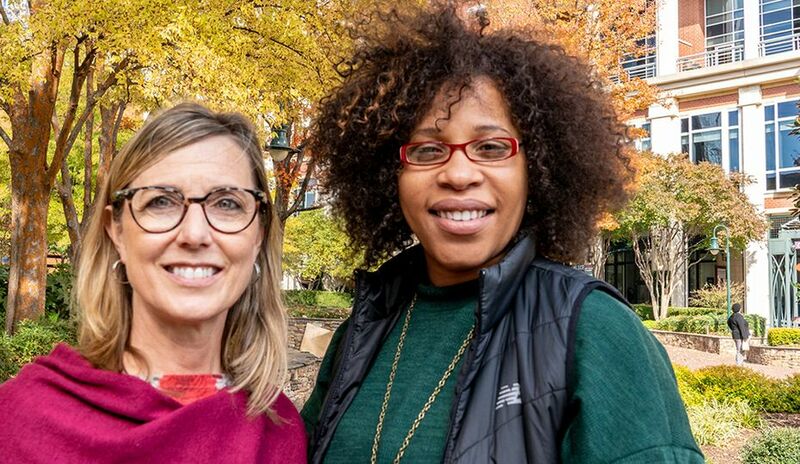 The symphony has produced resources for students and teachers: A colorful booklet introduces them to composers from Beethoven to Woody Guthrie – proving the definition of “classical” music is as broad as the Old North State. 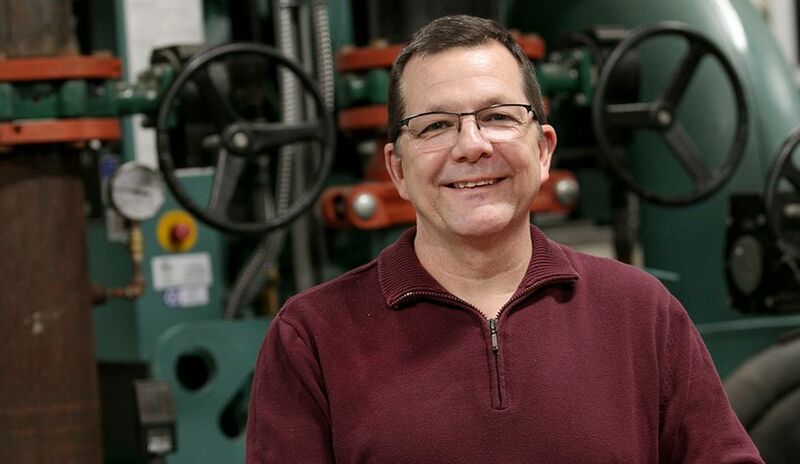 Gardner has been teaching music in Wilmington for 17 years. And that’s how long she’s been going to teacher workshops the North Carolina Symphony leads. The orchestra has presented its Music Discovery preschool programs in towns as small as Wallace (at Lynda’s Play and Learn, Too), Faison (at Hargrove Elementary) and Aberdeen (at Aberdeen Primary School). 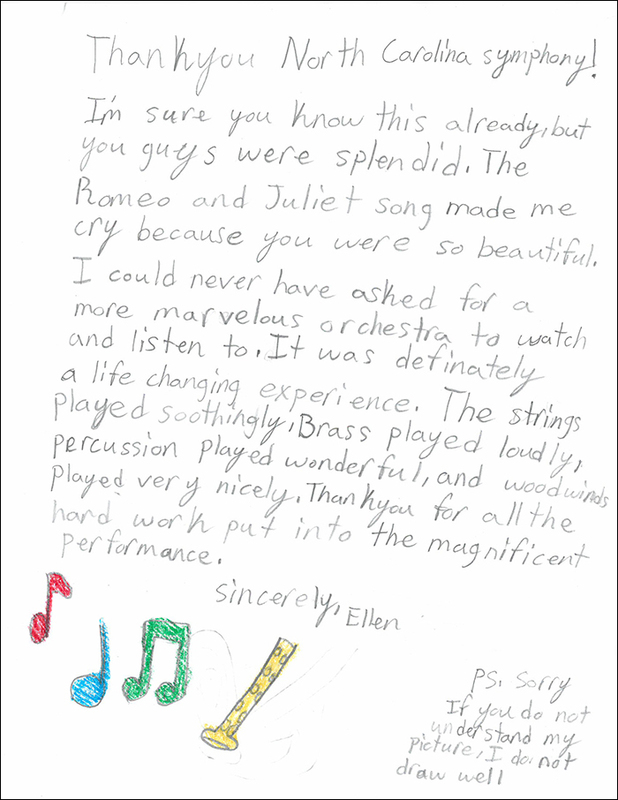 “Ensembles in the Schools” has been to elementary schools from Havelock to Vass. They’ve played cafeterias, gymnasiums, libraries, homeless shelters. 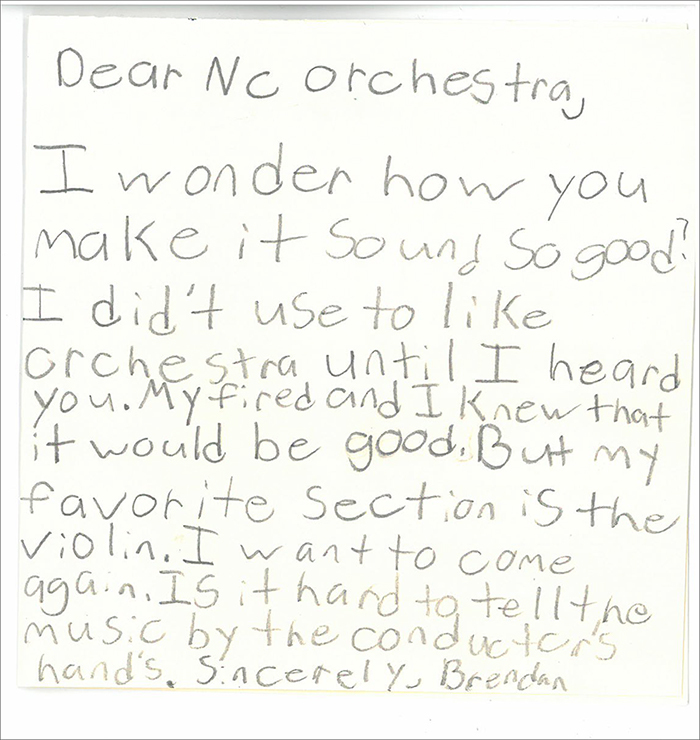 N.C. Symphony educational program in New Bern, N.C.
“There are millions of adults who heard the North Carolina Symphony play at their school when they were young,” said Sandi Macdonald, president of the North Carolina Symphony. Sometimes the children who hear these concerts grow up to be musicians themselves. Last season, the orchestra co-commissioned a piece by Shaw. They’ll perform it at The Kennedy Center in Washington, D.C., in March. 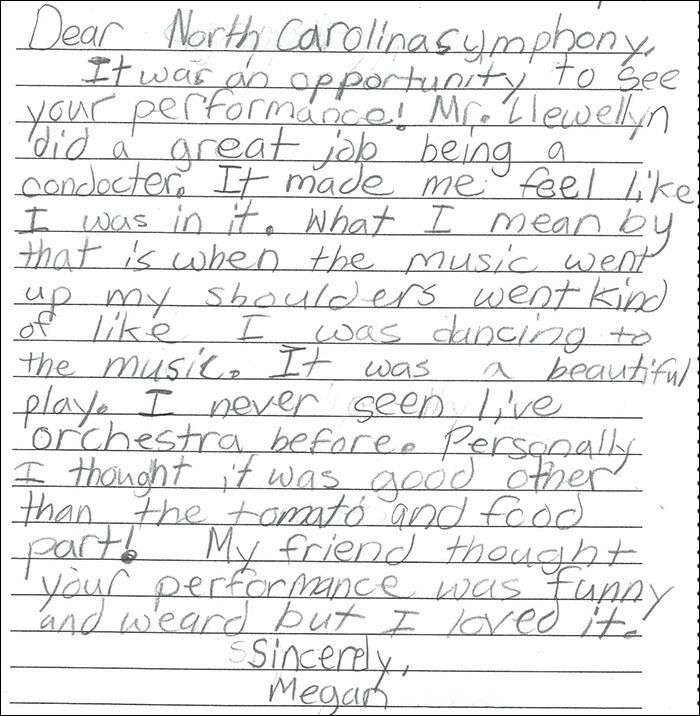 Although the North Carolina Symphony is based in Raleigh, the entire state is its home turf. The musicians make a concerted effort (pun intended) to go to small towns – where people may not get to hear a live symphony very often. The orchestra has traveled from the coast to the mountains and has played in cities with skyscrapers and their own symphony orchestras and in unincorporated towns that don’t even have a stoplight. Back in the day – before the state had highways that made travel easier – they were dubbed “The Suitcase Symphony” because of how often they were on the road. A trip from Raleigh to Charlotte in the 1940s had to be an overnighter. It took that long to go from point A to point B. Travel is easier nowadays, but the orchestra is still on the road a lot. In a typical year, the musicians might perform 40 or more education concerts. 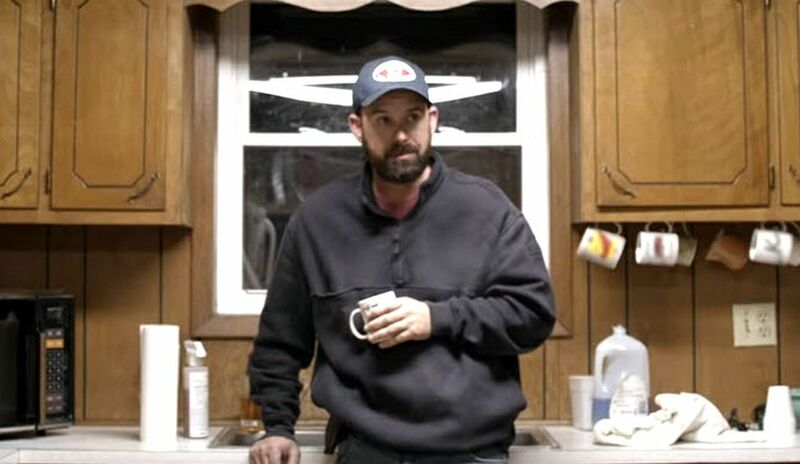 Although they’re still partially funded by taxpayers, it takes more than state funding to keep the show on the road. 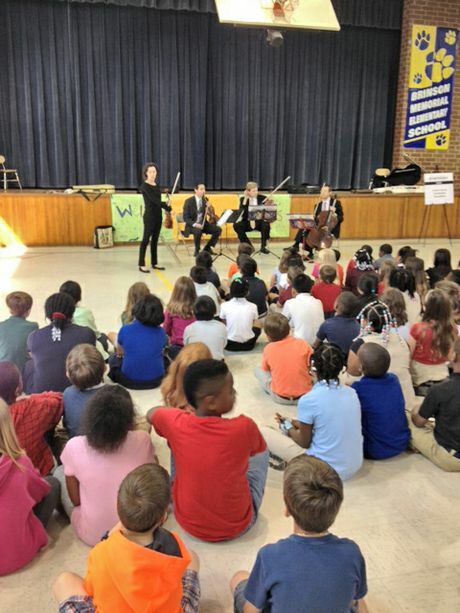 This year, the Duke Energy Foundation awarded a $175,000 grant to the symphony for education and outreach, particularly in rural areas and areas with limited access to the arts. 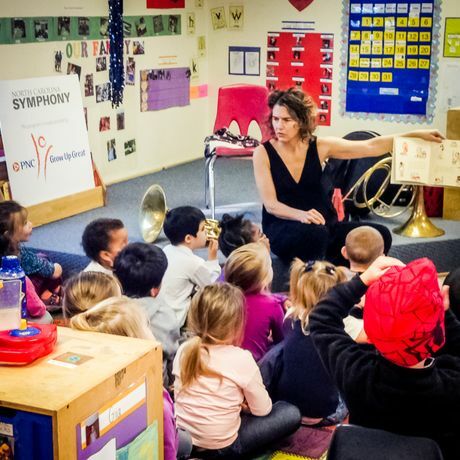 It all starts with educating youngsters – as early as preschool – about the instruments that make up an orchestra … how they sound alone and how magical they sound together. Macdonald has heard the gasps when the double bass plays its first deep note. She’s also heard the giggles when kids hear – you know where this is going – the tuba.